Borgo San Lorenzo (Florence) 08/10/2017 – Under cloudy skies and with the temperature at around 18°C Race 3 of the Italian F.4 Championship powered by Abarth got underway. At the start the New Zealander Marcus Armstrong (Prema Power Team), got away well from pole position followed by the Dutch driver Job Van Uitert (Jenzer Motorsport) and the Italian Leonardo Lorandi (Bhaitech), who was soon overtaken by his team mate, the Venezuelan Sebastian Fernandez. On the fourth lap the Guatemalan driver Ian Rodriguez left the circuit which brought the introduction of the Safety Car. When it then left the track and racing resumed, Fernandez got by Van Uitert who was then penalised with a Drive-through penalty because of a jumped start: a critical factor in the championship. On lap 8, Fernandez passed also Armstrong going on to hold the lead and taking the win. The battle for the podium was still going however, as the Russian Artem Petrov (DR Formula), thanks to a new set of tyres, came from ninth place to second finishing in that position despite a 5 second penalty added to his overall race time. Third place on the podium, with the championship now in sight, for Armstrong. 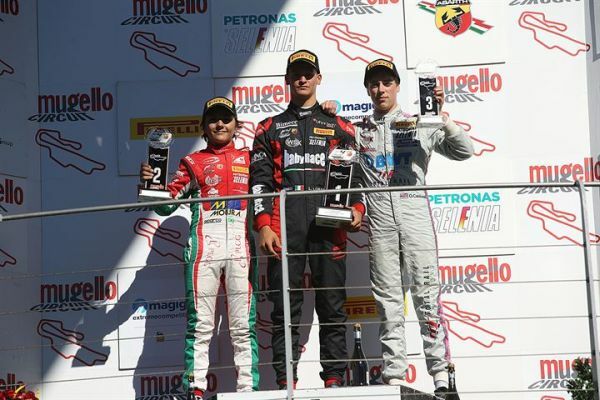 • Fourth position for Lorandi, followed by another Rookie, the Brasilian Enzo Fittipaldi (Prema Power Team). Sixth for the Italian Aldo Festante (DR Formula), ahead of his countryman Lorenzo Colombo (Bhaitech) and the German Lirim Zendeli (BWT Muecke Motorsport). Rounding out the top ten the Argentine Giorgio Carrara (Jenzer Motorsport) and the English driver for BWT Muecke Motorsport Olli Caldwell. 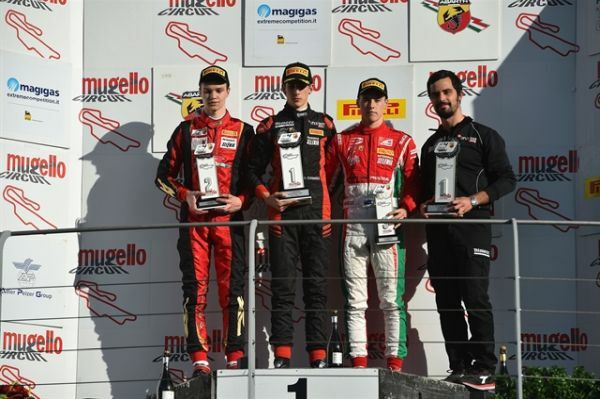 • In the Rookie Trophy, a third win in the weekend for Lorandi, followed by Fittipaldi and Carrara. • The Italian F.4 Championship powered by Abarth races with Pirelli tyres and uses Magigas fuel. 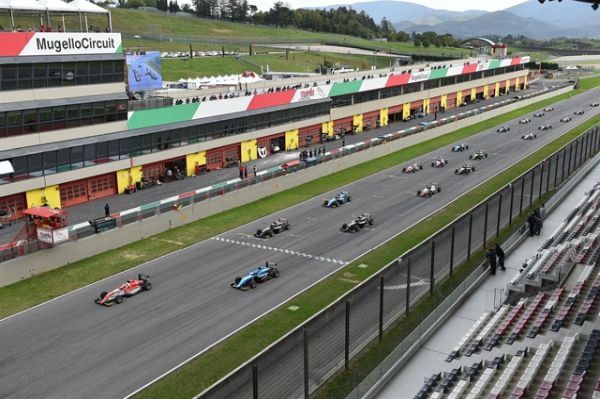 • The next - and the last, for the 2017 season - round of the Italian F4 Championship powered by Abarth will be held at Monza on October 20-21-22.